Of course, we understand radiance in terms of glowing. “The radiance of the sun…” We know that the sun is unbelievably hot, and that heat produces light which travels millions of miles to us here on earth. And it does radiate! It flows over the earth in waves! So, what about radiance in terms of a healthy, beaming person? What does that mean? I think of seeing children who have been playing out in the summer sunshine, who just overflow with health and joy. They radiate wellbeing and energy. It is as if you can see the life just pulsating in their little bodies. That is one kind of radiance in a person. But Our Lady wants us to be radiant. Being radiant is a sign that we are her apostles of love! So, what is she getting at? It struck me that I have seen radiant people, people just filled with pulsing life. I have seen them by the hundreds! In Medjugorje! 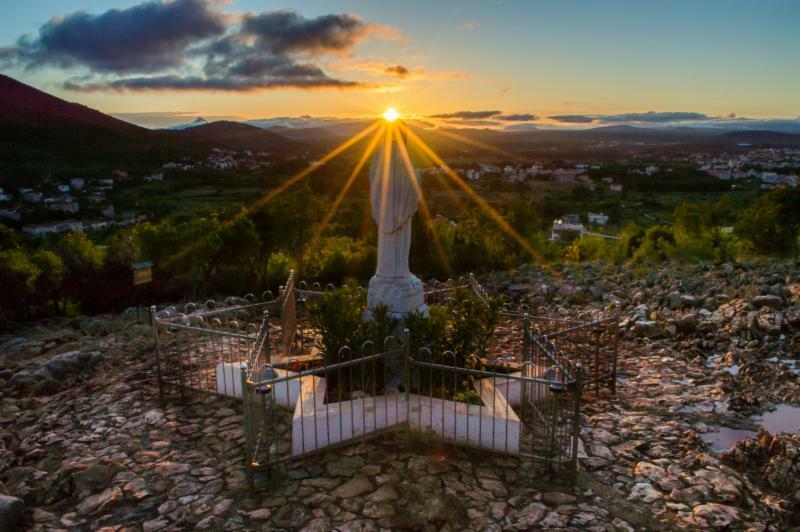 Yes, there is bright sunshine in Medjugorje, at least in the summer months. Yes, there is clear air and lots of outdoor activities in Medjugorje, like climbing hills. Radiance can come from those natural activities. But the radiance I see is more than natural. It is something else, something coming from within them, something emerging from their inner self, their heart. It seems to be a supernatural glow. My guess is that when we go to Medjugorje, we receive a super abundance of blessing from heaven. We are blessed by the rosaries we pray. We are blessed by the sacraments we receive, mainly Eucharist and Confession. We are blessed by Adoration. We are blessed by the good news that is preached, and the testimonies we hear of God’s life changing grace. And we are blessed by the presence of Our Lady, covering us with her mantle of peace. We are so blessed, that our hearts begin to sing for joy! They radiate joy! That thought leads me to another person who radiates. It is Our Lady herself. And her radiance can be traced to one thing, the incredible blessings she received from the Father, in her Immaculate Conception, in the Annunciation of the Lord, when she conceived Jesus, in her divine Motherhood, and in her co-redemption through the Crucifixion and Death of Jesus, and by the Resurrection of her Son which changed everything! She is incredibly blessed by the Coming of the Holy Spirit upon her Church, and by her Assumption, and now by her crowning as Queen of Heaven and Earth. Mary has seen so many miracles of mercy in her life that she calls herself blessed. And that blessedness radiates from her in waves. It is the incredible blessedness of Mary that radiates from her being to all of us!!! And she wants us to recognize our blessedness and rejoice in it, so that it will radiate out from our hearts to others. We can radiate because we have been soooo blessed. We only have to rejoice in it and give thanks for it, like Mary, and we will radiate too!! 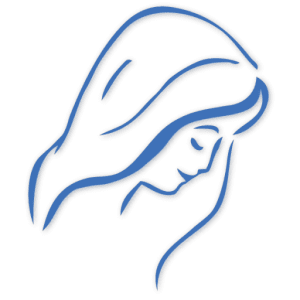 https://marytv.tv/wp-content/uploads/2016/12/MaryTV-Logo.jpg 700 700 Cathy Nolan https://marytv.tv/wp-content/uploads/2016/07/weblogo_sm_1.0.png Cathy Nolan2019-02-14 03:13:212019-02-14 03:13:23Radiance! Hiddenness, Love and Radiance! My Son gives Himself to you!